Our goal for this page is to be the resource for all things Pleasure House Point. If you know of another website, organization, etc that you think should be here – please add the info in the Discuss section at the bottom of this page. On March 13th 2012, Virginia Beach City Council voted unanimously to preserve Pleasure House Point forever. Thanks to Mayor Sessoms, Vice Mayor Jones, and Councilmen Davis, DeSteph, Diezel, Dyer, Henley, Moss, Uhrin, Wilson & Wood. Identified as a top priority for open space acquisition for the past decade, the 118-acre tract known as PLEASURE HOUSE POINT(PHP) has recently been preserved by the City of Virginia Beach with help from the Trust for Public Land (TPL) and in collaboration with the Chesapeake Bay Foundation. The local community, whose vision & tireless advocacy since 2002, created the opportunity to preserve PHP forever. Not all of Pleasure House Point is preserved yet! Use this link to find the most recent information posted and to search our archives back to October 2003. PHP Master Planning Discussion – share your opinion! You’re here because you care about Pleasure House Point and the incredible opportunity to create something amazing for YOU, future generations and PHP’s Wildlife & Eco-system. This high-profile property was once being considered for a large waterfront development, but with the help of the Trust for Public Land, the Chesapeake Bay Foundation and the surrounding community, the City has preserved one of the largest undeveloped parcels of land on the Lynnhaven River for generations to come. A leader in environmental education, restoration, and advocacy in Hampton Roads for more than three decades, CBF has a vision to enhance Pleasure House Point to better serve and educate current and future generations. Below is CBF’s conceptual drawing of their proposed magnificent educational center. 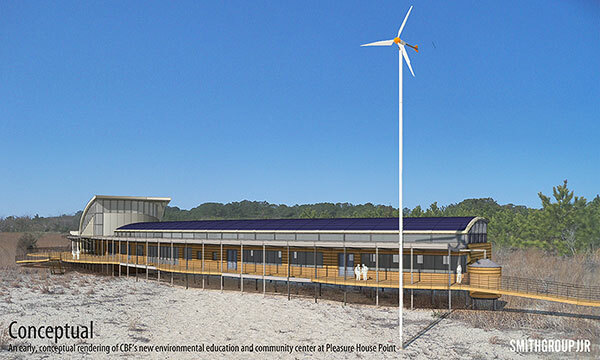 Designed to achieve net zero energy consumption and zero water use/runoff, this one-story, 10,000-square-foot educational facility aims to be the first LEED Platinum and Living Building Challenge (LBC) certified project in Virginia—serving as a model for future sustainable buildings and inspiring younger generations with environmental awareness. 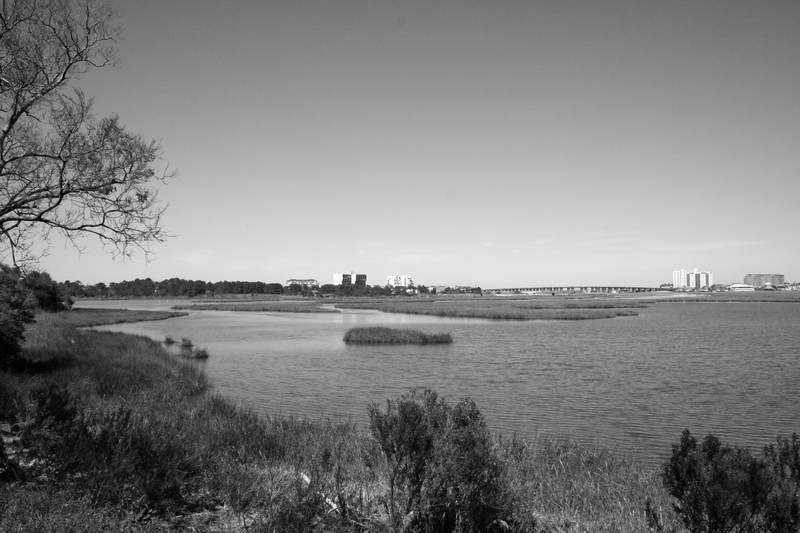 In July 2012, we completed the conservation of Pleasure House Point, adding 118 acres to Virginia Beach’s natural recreation areas and laying the groundwork for the city’s plans to improve water quality in the Lynnhaven watershed. Field Trips by many especially the visitations by Steve and Julie Coari with help from Dianne Hinch, Keith & Karen Roberts, Jim Marcum, Brian Prendergast and a few others have identified over 122 species to date. Establish, restore and protect Pleasure House Point for public access as open space, an environmental learning and research center. We believe Pleasure House Point can inspire people to come up with big bold ideas that will make the world a better place. 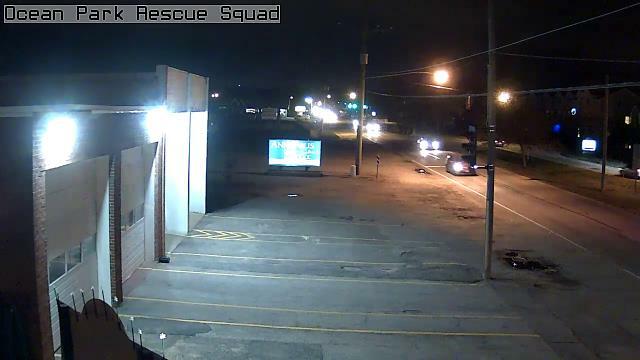 Barbara Duke, of the City’s Parks & Recreation Department reported at the BAC meeting January 17, 2013, that the first phase of PHP is done, with guardrails and signage installed. Parks & Rec will be working with DGIF, VA Conservation & Recreation, VMRC,VIMS, VA Department of Forestry, Lynnhaven River Now, with input from CBF, to develop the master plan for the area. First meeting in February with draft master plan due in October 2013. CBF hopes to begin construction in the Fall of 2013.